I know I’m not alone when I say that finding a delicious meal that is actually easy is like hitting the jackpot. I found this recipe on Pinterest and tried it for dinner this week. It was incredibly easy and not only dairy free, but gluten free too! My process was just slightly different from the recipe and I removed the Parmesan cheese, since I’m trying to minimize dairy in my diet. My adjustments are below. Here is the original. 2. Line a large sheet pan with foil or parchment paper. 3. 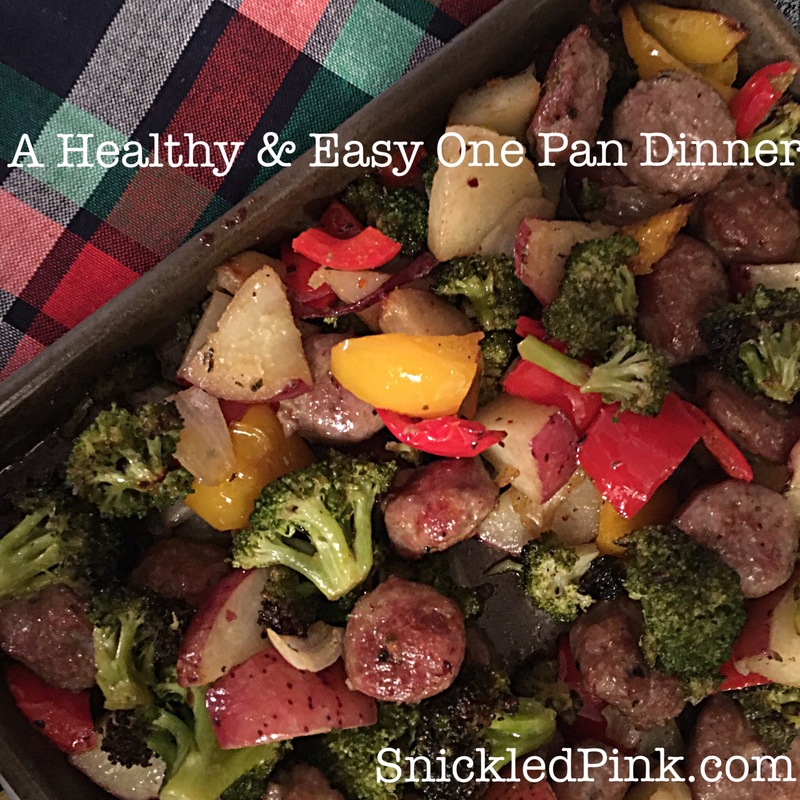 Prep the veggies: chop the red potatoes into small pieces, trim the green beans and halve, chop the broccoli, chop the peppers and onion into thick squares, and coin the sausage in thick slices. 4. 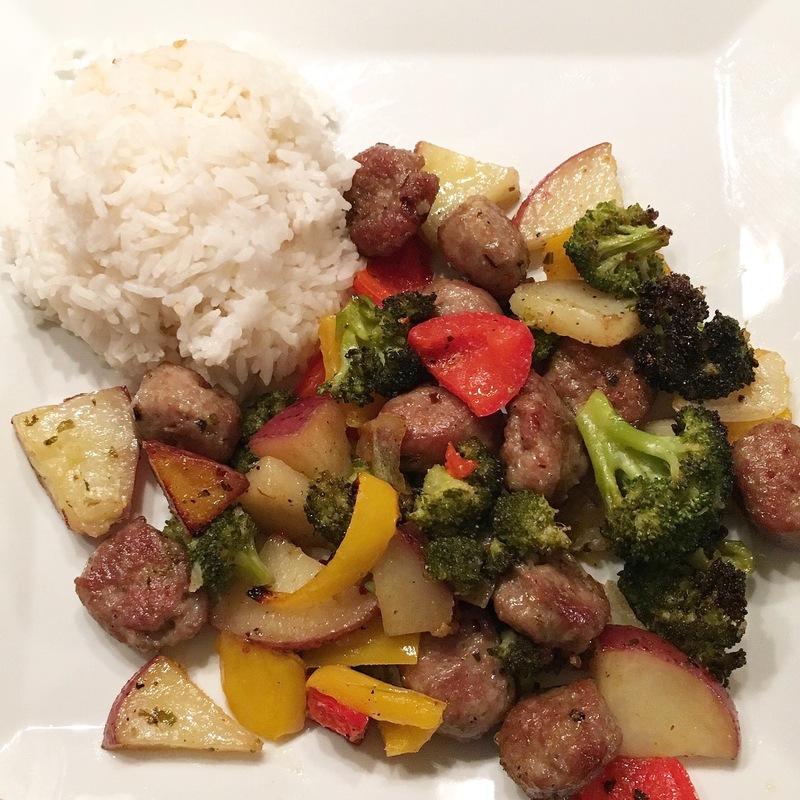 Place all the veggies and sausage into a bowl. Pour the olive oil and all the spices on top. Toss to evenly coat all the veggies and meat. Then spread onto baking pan. 5. Bake 15 minutes, remove from the oven and stir. Return to the oven and bake for another 15 minutes or until vegetables they are crisp tender and sausage is brown. 6. Enjoy with rice or quinoa and fresh parsley if desired. It sure was and easy as can be! Let me know how the vegetarian version turns out!